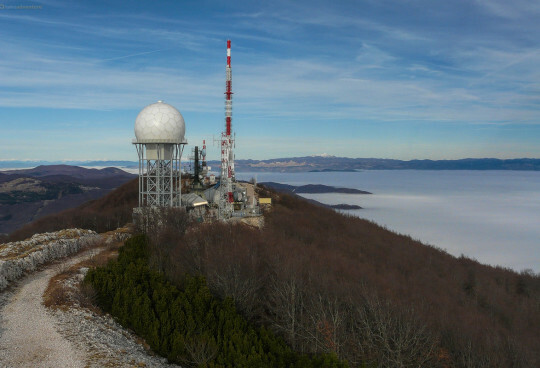 The highest peak of Velebit mountain is Vaganski Vrh at elevation of 1757m over the sea level. 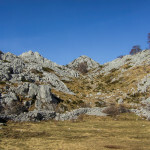 The peak is situated on the ridge of South Velebit. I planed to do this all mountain ride in summer of 2007. At the beginning of the year the winter was without snow and I decided to start the route on 20-Jan-2007. 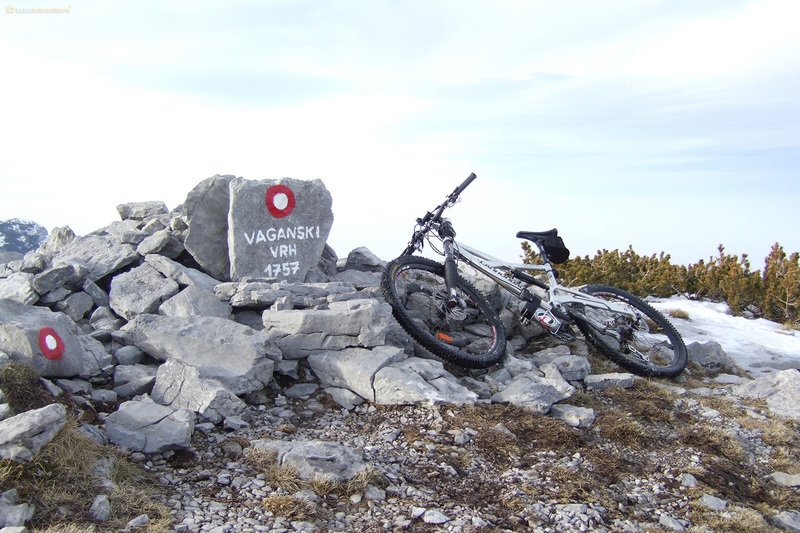 It was the first recognized ride on the peak of Velebit. I decided to start the route from Mali Halan saddle. The elevation of the crossroad is around 1000m over the sea level. I wanted to pass the most critical section of the trail during the daylight. 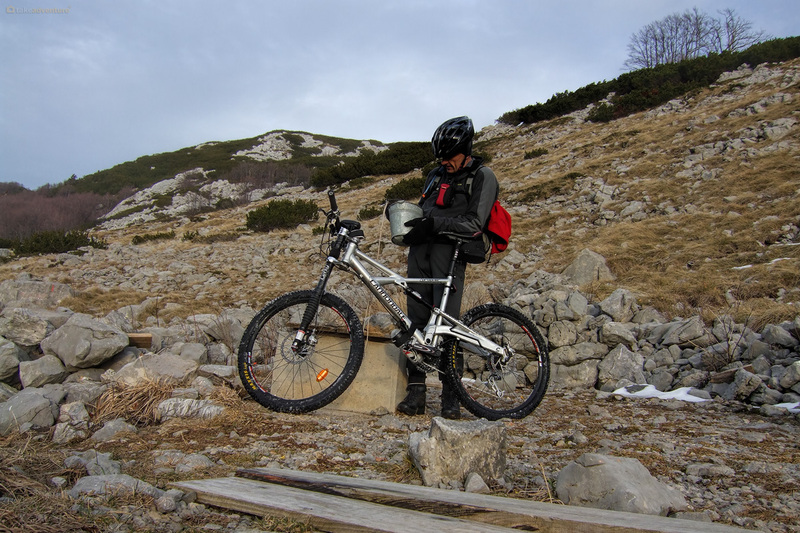 From Malo Libinje to Vaganski Vrh peak, most of the time I carried the bike. It was very hard section. All the trail is dry and rocky. The ridge section is all mountain ride and it is recommended only to the experienced all mountain riders. The route can be combined with Libinje route. Getting there: Europe, Croatia, Zagreb, Gospić, Sveti Rok. 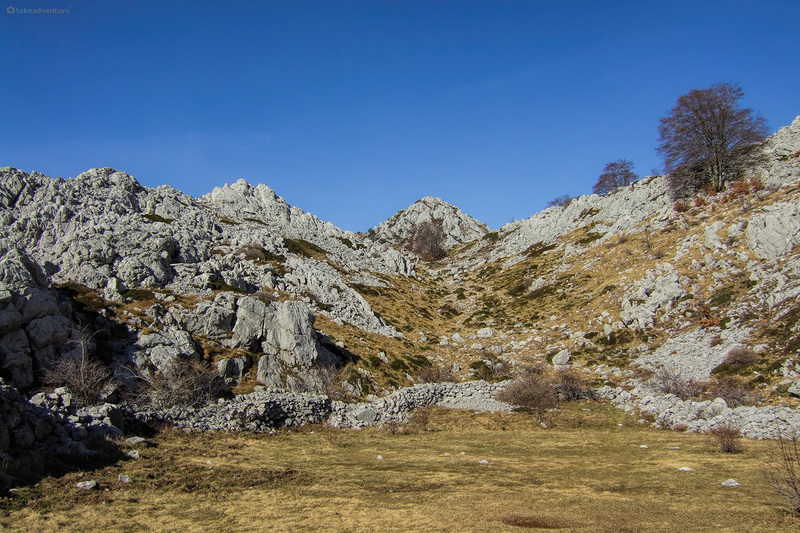 In Sveti Rok proceed towards Gračac and then in the center of the Sveti Rok village turn right to the Nature Park Velebit and Mali Halan saddle. 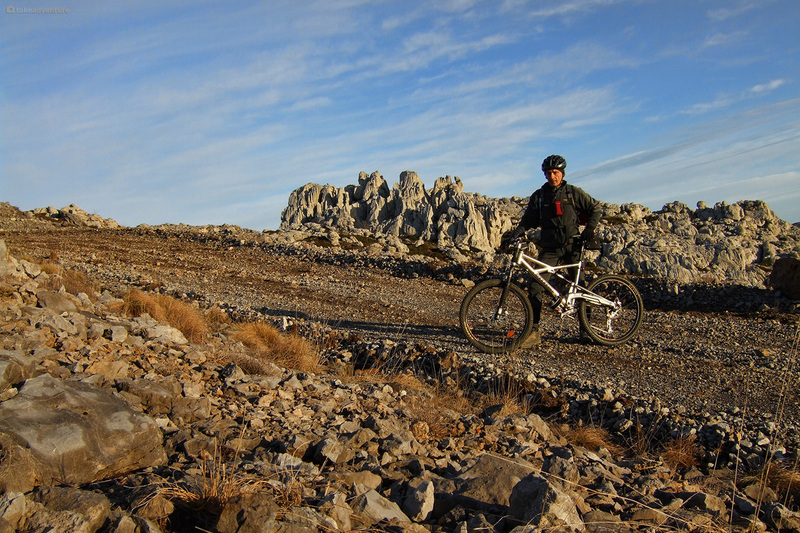 The mountain bike route starts at crossroad near Mali Halan saddle. Coming from Sveti Rok, pass Mali Halan saddle and on the next cross turn right and proceed on the steep carriageway towards Kraljčina Vrata area. Follow the carriageway to the north west course. First few hundred meters is a steep ascent. 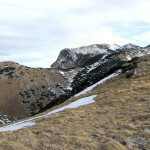 Than the carriageway proceeds above Veliko Libinje plateau to the Malo Libinje plateau. From the middle of plateau follows the hard visible singletrack to the north. At the end of plateau on the north side, there is a spring of water named Pećice. During dry summer time don’t count to get the water. From Pećice spring starts the hard section until you reach the ridge. The trail is labelled with red/white signs. Most of the time the bike must be carried. On the ridge it’s possible to ride on some short sections. 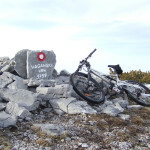 Just follow the trail signed for Vaganski Vrh peak. On some sections the bike must be carried on the singletrack passing through the slits in the low level forest. 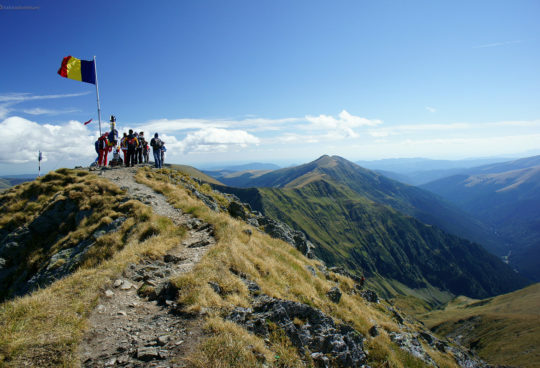 Vaganski Vrh peak is the nice sightseeing point and you can get the nice view on north and south side of the ridge. From the peak follows the labeled singletrack section to Struge plateu. Just before the edge of plateau there is a spring of water named Marasovac. The water is available through all the seasons. The labeled track proceeds to Buljma saddle. On the west side of Struge plateau there is a hut. 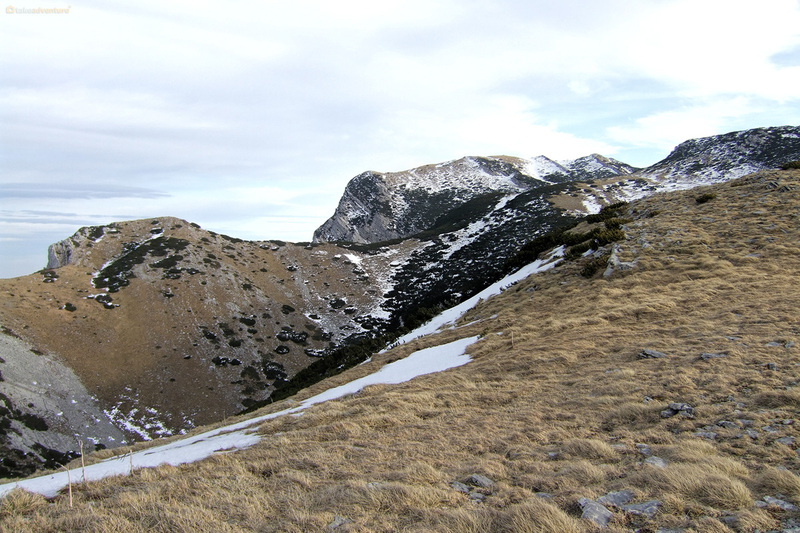 The singletrack from Marasovac to Buljma saddle passes few hundred meters near Struge hut. 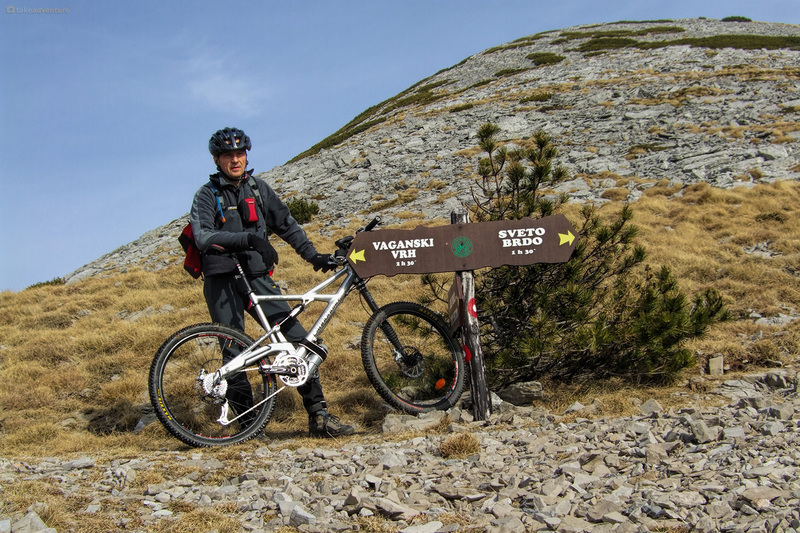 The downhill section proceeds from Buljma saddle to Velika Paklenica canyon. First part of the section is very steep. After that the ride is possible most of the time. 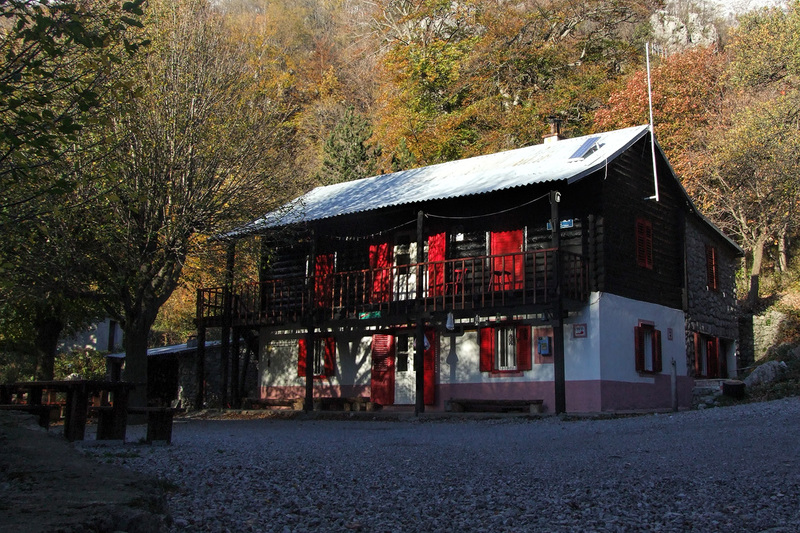 Boris Hut is situated at the beginning of the canyon. In the canyon proceeds the rocky trail and the ride is possible most of the time. At the end of the canyon there is the parking place. From the parking place the paved road proceeds to the end of Velika Paklenica canyon and to Starigrad. From Starigrad ride on the highway to Maslenica. 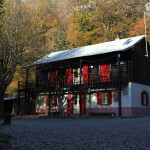 In Maslenica turn left to Obrovac. Just before Obrovac turn left on the paved road back to Mali Halan saddle. The road proceeds back to the starting point. I started this solo ride at 8.00 AM and come back at 10.00 PM. For more details check above interactive map and below elevation profile & Gallery of the route. UST tires with the sealant are recommended. The route is recommended during Summer or Fall. Before the ride check the snow and wind conditions.